Pennsylvania Medical Marijuana Program Director Dr. John Collins announced 12 grower/processor licensees, two from each of Pennsylvania’s six health regions, at a press conference on Tuesday afternoon. Some or all of the grower/processors awarded permits may have also applied for dispensary licenses. The first batch of dispensary permits will be released next week. Despite a number of applications from Philadelphia, neither of the Southeastern PA organizations selected are from Pennsylvania’s most populated city. Here are two good roundups of the announcements, one at Billy Penn, and another from Philly.com. Applicants not selected will have 10 days to appeal the decisions. Here are some details about the appeal process. The medical marijuana program was signed into law by Gov. Tom Wolf in April 2016, and is expected to be implemented by 2018. 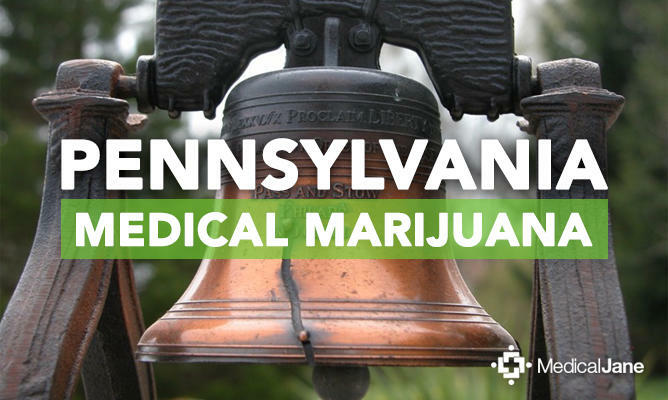 It will allow medical marijuana for patients who are residents of Pennsylvania and under a physician’s care for the treatment of one of 17 serious medical conditions as defined by Act 16. At some point next year the approved grower/processors would be allowed to cultivate marijuana in their facilities, though as written Act 16 does not permit smokable marijuana, only concentrates, oils and tinctures derived from cannabis. Medical marijuana activists and prospective patients hope that rule is revised and feel the program is incomplete without allowing actual bud to become medicine. The process under which a patient can be certified to receive medical marijuana in Pennsylvania is still being worked out, the Health Department says. The state is working to educate doctors on the benefits of medical marijuana and enlist doctors and health care providers into participating in the marijuana program. A doctor, nurse practitioner or physician’s assistant will be required on hand at any medical marijuana dispensary in the state, according to Act 16’s regulations.